The Accord remains hugely important to Honda. So for 2016, Honda has added some new ingredients to its winning recipe. And we just got our first taste of the new dish. 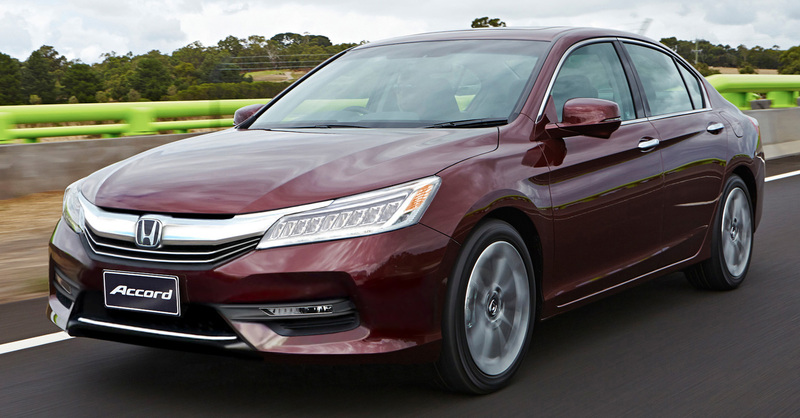 The refreshed 2016 Honda Accord has big shoes to fill its own. After all, the Accord has landed on our 10 Best Cars list 29 times, and it has remained one of America’s favorite family shuttles in terms of annual sales. The Sport and Touring models ride on great, new five-spoke 19-inch wheels wrapped by 235/40R-19 tires, which combine with chassis changes made across the 2016 Accord sedan range high functioning dampers, the aforementioned bracing, and tweaks to the electric steering to make it feel even more visceral than its harbinger. The 189-hp 2.4-liter four-banger also sounds great partially on account of active sound amplification as it revs to its 6800-rpm red-line. Also contained in the makeover are revisions to the base four-cylinder’s CVT, structural reinforcements, and suspension changes that are supposed to sharpen the handling. Sport mode summons passing power with less hesitation and it finds the engine’s rpm sweet spot with more authority, all the while actuating pseudo shifts that do a pretty convincing impression of a conventional automatic transmission. The only performance of the system we sampled was Apple CarPlay; so far we can conclude that if you have made friends with Siri and speak with simple verbiage and clear diction that Apple devices can easily understand and are content being able to use only a small number of apps music, maps, text dictation compatible with CarPlay, you will probably get along fine with the system. Even though we would not be going too far out on a limb to surmise that the 2016 model’s refinements will render it generally as sweet as the four-pots, except with about 50 percent more horsepower and lower fuel economy. Consider the Accord’s shoes as nicely filled as ever.